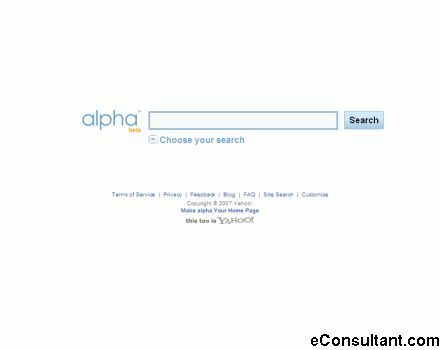 Description : Alpha is a new beta product from Yahoo! With Alpha, you can search across many different search indices all on one page. Also, if you have a Yahoo! ID, you can log in to personalise your experience by moving the search sources around to suit you, or adding completely new ones of your own.